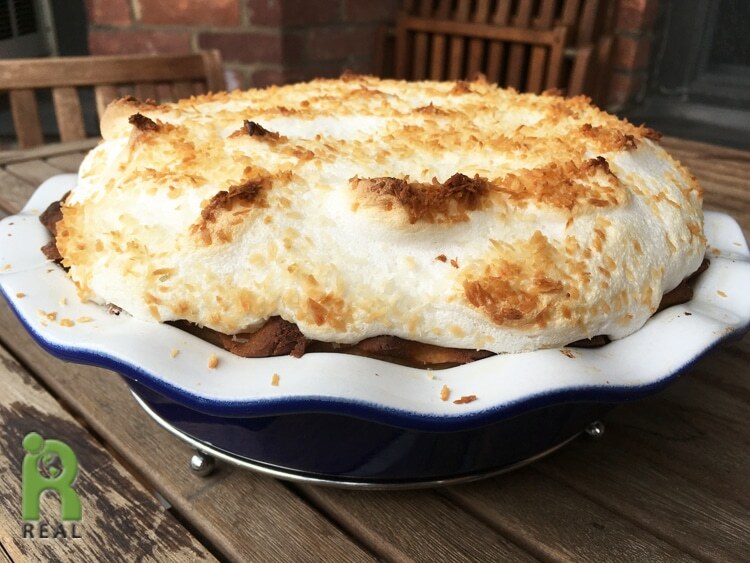 With Aquafaba, vegan meringue is as easy as pie. Auafaba is the liquid from one 15 ounce can of chickpeas. We recommend buying the unsalted cans. Prepare two sheets of parchment paper, at least 10 inches per side. Place dough on one sheet of parchment paper and with hands flatten into a 4 inch-circle. Cover with other piece of parchment paper. Roll dough to a thin circle (about 1/8-1/4 inch thick circle). Remove top sheet of parchment paper. Carefully lift bottom sheet with dough and flip over, on top of a 9-inch pie plate. Trim pastry edges. Line the unpricked pastry dough with a circle of parchment paper, cut to fit the bottom of the plate. Fill with pie weights, dried beans or uncooked rice. 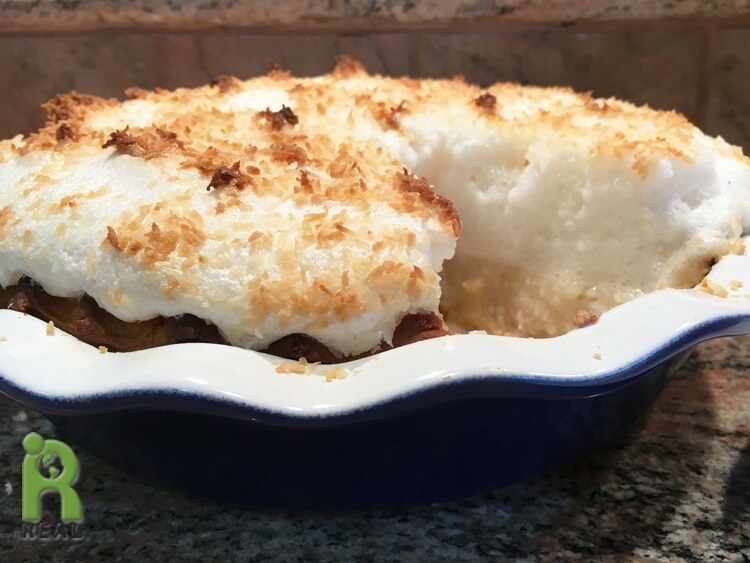 I use a small souffle dish that fits perfectly inside my pie dish. Bake 20-25 minutes or until edges are golden brown. Remove paper and weights; bake 3-6 minutes longer or until bottom is golden brown. Cool on a wire rack. For meringue, in a large bowl, or stand mixer bowl pour in aguafaba and cream of tarter. Beat on medium speed until foamy. Gradually add sugar, about 1 tablespoon at a time, beating on high after each addition until sugar is dissolved. Continue beating until soft glossy peaks form. This takes about 7 minutes. In a small saucepan, mix sugar and starch. Whisk in coconut milk. Allow mixture to boil while whisking. Reduce heat to low. Add in soy lecithin if using. Cook and stir 2 minutes longer. Gently stir in coconut, vegan butter and vanilla. Transfer hot coconut milk filling to crust. Beat the meringue for about 30 seconds. Spread meringue evenly over filling, sealing to edge of crust. Add remaining meringue on top making a big peak. There is a lot! Sprinkle with shredded coconut. Bake 20-25 minutes or until the meringue is golden. Cool 1 hour on a wire rack. Refrigerate at least 3 hours before serving.